Do you want to change your negative behaviours and habits permanently? Are you a smoker who’s had enough of putting your health at risk and wants to quit? Are you suffering from insomnia and you just want to get a decent night’s sleep? Are you tolerating a phobia that’s really holding you back in life? Are you wanting to lose weight but can’t stop eating those sweets? Are you tired of being ‘railroaded’ by others and wish you were more assertive? Are you embarrassed by your nervous habit and wish you could stop? Hypnosis enables us to talk directly with your subconscious mind, as it is your subconscious mind which controls your emotions, habits and patterns of behaviour. Too often people try to change undesired behaviours at the conscious level, only to find they fall back into their old habits. That’s because their conscious mind and subconscious mind are not “singing from the same song sheet” and if you don’t make changes at the subconscious level then any change you make won’t be long-lasting. Think of the brain like a ship where the conscious mind is the captain and the subconscious mind is the crew. The captain may want to direct the boat in a certain direction, but if the crew aren’t with the captain…there’s mutiny! What hypnosis allows us to do is reprogram your subconscious mind to work with the conscious mind to change the undesired behaviours permanently. All long-lasting change must occur at the subconscious level and that’s why hypnotherapy works! As a professionally qualified Psychologist and Hypnotherapist I have designed proven and successful Behaviour Modification Programs that reprogram and align your subconscious mind with the desires of your conscious mind using hypnotherapy. Identify the specific undesired behaviour/s or problems that you want to change and ensure that you really want to consciously make these changes for hypnotherapy to be effective for you. 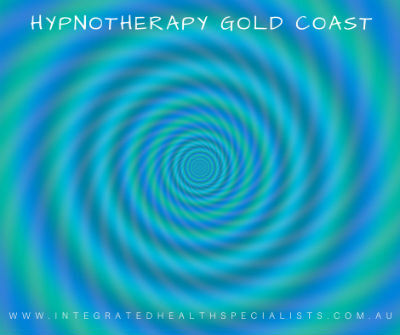 Schedule required hypnotherapy sessions, allowing appropriate time between each session for the changes to take effect and for us to monitor the progress. For simple habitual-type problems only three sessions are usually required. For more complex emotional problems you may require five sessions or more. If more extensive or complex therapy is required, the number of sessions will be planned in advance. These sessions also sometimes incorporate other re-patterning techniques like Neuro Linguistic Programming (NLP) and Emotional Freedom Techniques (EFT) when appropriate. Prepare and record a personalised hypnosis CD so that you can continue training the subconscious mind and make sure the changes are permanent…this maintenance is a real key to long-lasting success! Hypnotherapy is a proven, safe, and highly effective technique for directly accessing the powers of the subconscious mind. If you are experiencing personal limitations that are holding you back in life, please contact us to find out how our hypnotherapy programs can help you! Phobias and fears, eg. fear of flying, spiders, needles etc. Nervous habits and unwanted repeated behaviours, eg. nail biting, trichotillomania etc. …..and so many more personal limitations.